2 minutes walk from JR Chitose Station. 10 minutes by taxi from Shin- Chitose Airport. 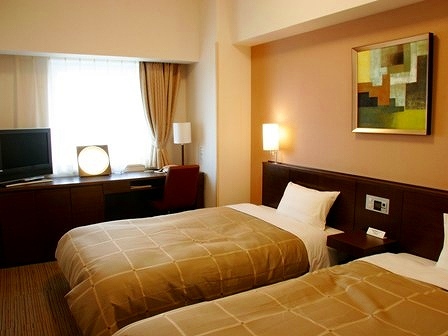 Chitose Airport Hotel is the business hotel conveniently located as 2 minutes walk to JR Chitose Station and close to Shin-Chitose Airport, the gateway to Hokkaido. It is 30 minutes by express train to Sapporo. Free shuttle is operated to the airport. Although the hotel is simple, hotel offers warm hospitality. 5 minutes by taxi from JR Chitose station. 8 minutes by car from New Chitose Airport. 3 minutes by car from Chitose IC on Douou expressway. 8 minutes by car from New Chitose Airport. 8 minutes drive from Shin-Chitose Airport, the gateway to Hokkaido. Free shuttle bus service is available from the airport. Within a 30-minute drive, many prestigious golf courses and Shikotsu-ko lake are situated. Please enjoy Japanese, Western and Chinese cuisine, prepared with fresh local ingredients of Hokkaido. 3 minutes' walk from JR Chitose Station. 7 minutes' drive from the Hokkaido Expressway Chitose IC. Very convenient location, 3 minutes' walk to JR Chitose Station, and 12 minutes' drive to New Chitose Airport. The big bath 'Tabibito no yu�h and relaxation room on the top floor are provided for a comfortable stay. Guest has benefits of free parking and internet access in the room. We hope you stay with us. 5 minutes from JR New Chitose Airport Station by walk. On the 3rd floor of the New Chitose Airport domestic terminal building. 15 minutes from the Chitose IC on Hokkaido Expressway. 15 minutes from the Chitose-higashi IC on Hokkaido Expressway. 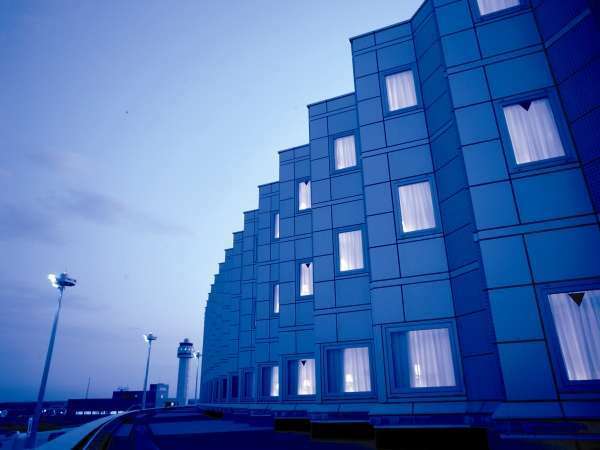 The Air Terminal Hotel is in the New Chitose Airport terminal building and has very convenient access to transportation. We offer complimentary breakfast for all hotel guests. The Chitose Airport Onsen in the hotel is available for adult guests for free. Please stay with us during your business or sightseeing trip. 5 minutes walk from JR Chitose Station. Located in the heart of Chitose, this hotel is 0.8 mi (1.4 km) from Chitose Salmon Aquarium and within 3 mi (5 km) of Aoba Park and Chitose Inter Golf Club. Chitose Outlet Mall Rera is 2.3 mi (3.7 km) away. 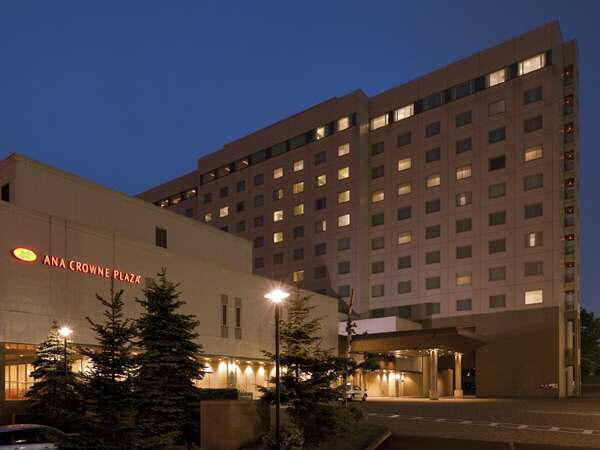 ANA Crown Plaza Hotel Chitose is a moderate, deluxe hotel located at the air gateway to Hokkaido. The hotel combines a convenient location with superb facilities that evoke the image of color and woods in Hokkaido. The rooms are chic and sophisticated oasis for relaxation. All the guest rooms are comfortable and nicely equipped to be at home. The hotel also has a variety of facilities and services that are sure to meet the need of both business and leisure travellers. 50 minutes by taxi from JR Chitose Station. 45 minutes on bus from JR Chitose Station bound for Shikotsuko Onsen. 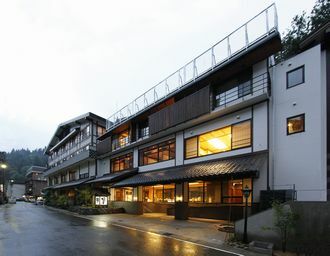 Get off at Shikotsuko Onsen Bus Terminal and 15 minutes by taxi. �ySecret hot spring Inn�zIt is like a hiding place, surrounded by the green nature, features in hot spring. Marukoma Onsen Ryokan is the quiet Japanese-style inn located at the foot of Mt. Eniwadake on the northern shore of Lake Shikotsu. The inn was built in 1915 at the lakefront. The natural open-air bath is connected to the lake, and the bath level is the same level as the lake. Please enjoy the cruise of Lake Shikotsu by cruiser owned by the inn. 15 minutes by taxi from Matsudai Station on the Hokuetsu-Hoku Line. 20 minutes on bus from Matsudai Station bound for Matsunoyama Onsen and get off at Matsunoyama Onsen stop. Hinanoyado Chitose is located at Matsunoyama hot spring resort surrounded by nostalgic mountain forest which is counted one of the Japan's three medical hot springs. Guests can relax in the natural fossilized seawater hot spring. The landlady arranges the wild flowers in season and decorates in the hotel. 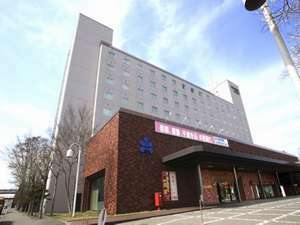 We hope you can find good hotel in this Page,"ALL Hotels in Chitose-city,Japan".